Mevar designs and builds moulds for various types of sheet metal cold-processing such as deep drawing, curving, blanking and bending. 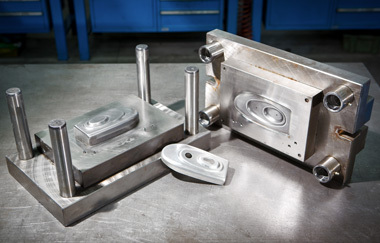 We make individual moulds in one or more imprints, progressive moulds that combine several processes in the same mould and transfer moulds to make complex items with an edge of a particular thickness, for example. In addition to the consultation for the planning, we ensure excellent mould maintenance, in order to guarantee efficient management at the time of use for the production of your item (which you can directly entrust to us or commission without constraints to another company). Moulds for deep drawing and curving are used using cold-technologies obtain an item with concave or conic form. Moulds are composed of punches and matrices that bend the part, stretched and compressed sheet metal, leaving the thickness unchanged. Deep drawing processing is used to make deeper deformation of particularly ductile. Curvature is used, to determine less deep deformations. Punching moulds are used to cold cut and deform every type of sheet metal: in aluminium, iron, stainless steel, copper, brass, or titanium. Thanks to careful planning, punching moulds determine, with millesimal tolerance, the pre-established shape and characteristics of the item. Blanking consist of cutting the sheet metal between two profiled cutters, punch and matrix, generating a fracture that reproduces the form of the cutters themselves. 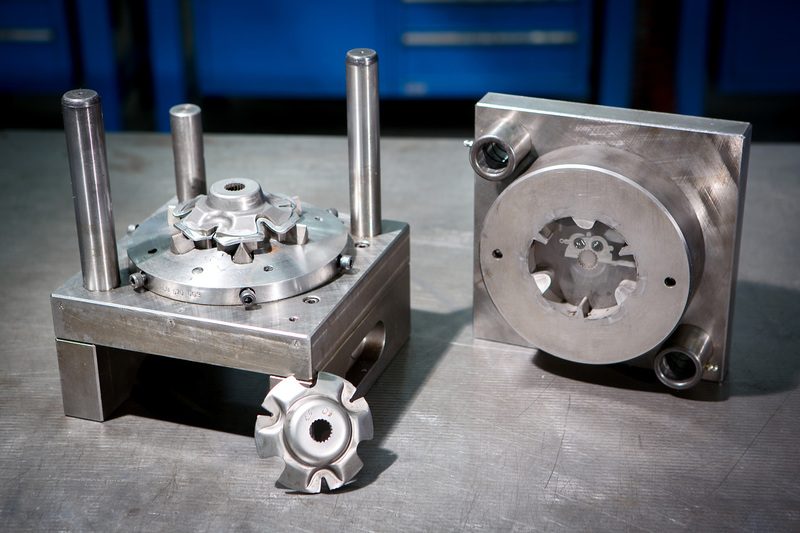 Our moulds are developed to ensure that a product fully meets expectations in terms of precision and resistance. Moulds for bending are used to campaigns over 10,000 pieces. When dealing with batches of many items, it is recommended to perform this processing with a mould and not with a forming press, so that it will be faster and more convenient. 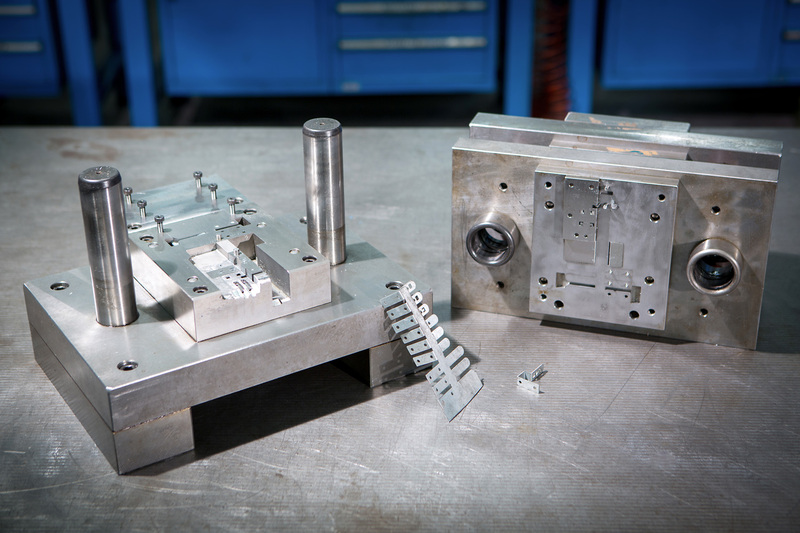 Only bending moulds also makes it possible to manufacture more than one bend on the sheet metal in the same process and to manufacture an undercut bend with the addition of carriages on the mould. 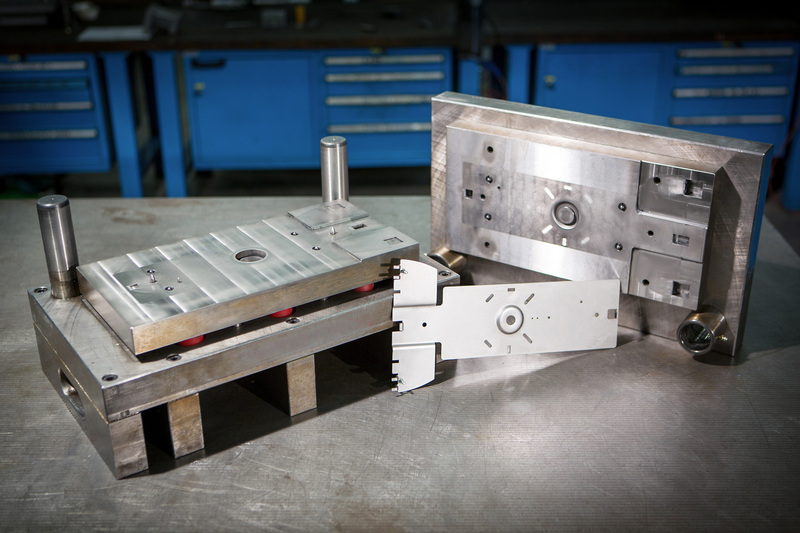 With a progressive mould you can perform more than one process on a single piece of sheet metal. 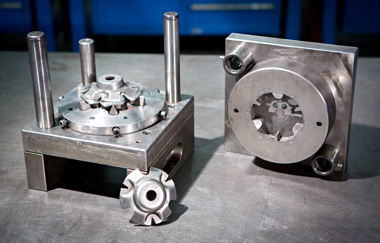 We plan and build progressive moulds that perform, for example, blanking and deep drawing and bending. Our moulds, even the more complex ones such as the progressives, maintain their characteristics for thousands of production cycles, thanks to the careful work of our technical office. 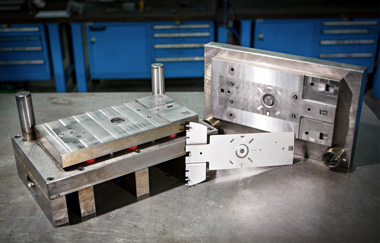 A type of mould that makes it possible to combine the blanking operation with the mechanical process of deep drawing. 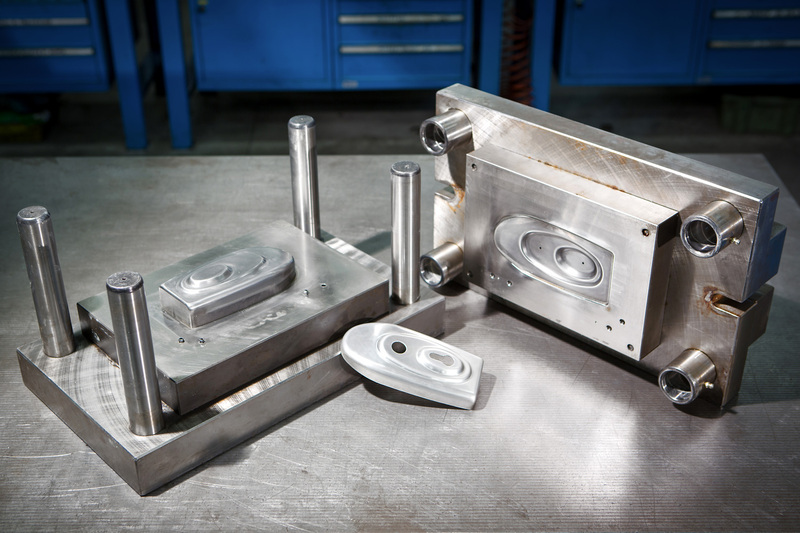 These moulds are used, in particular, to make parts for the automotive and electromechanical sector. Progressive moulds for blanking and bending, also called blank and bend moulds, performs both these processes in a single mould. They are often used to make items for the automotive and lighting sector.